We’ve got the most experienced team of sweeper drivers you can find! 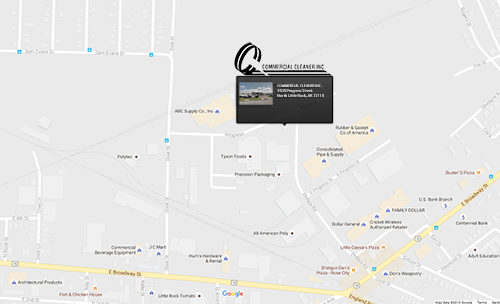 Call Commercial Cleaner for the cleanest parking lot in town! One of the biggest advantages of asphalt or concrete pavement is that it only requires occasional maintenance to service routine damage every few years. On the other hand, maintaining an immaculately clean paved parking lot requires regular attention. You need professional sweeper services to handle day-to-day cleaning, and power sweeping services to maintain your annual or seasonal deep cleaning schedule. Service on your schedule – Most of our clients prefer utilizing our services during off-peak hours, but we work around the clock. All that you have to do is let us know what times are the most convenient, and we’ll be there! Emergency Services – None of us like to think about natural disasters, but they happen. We can’t repair structural damage to your business or your grounds, but what we can do is be there when you need us and clean up your parking area so that you can be back in business as soon as possible. And it doesn’t always have to be an emergency. If you’re planning an outdoor sale or a parking lot carnival, we can get started with cleanup as soon as the event’s over, and have you ready for business as soon as the following morning! Keeping your parking lot clean is not only a great way to make your guests feel welcome, it’s much more affordable than you may think, especially considering the returns you’ll see from traffic increases. If you have any questions, or would like to schedule a no-cost/no obligation service consultation, contact us online, or give us a call at 501-945-3219.